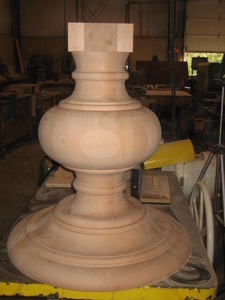 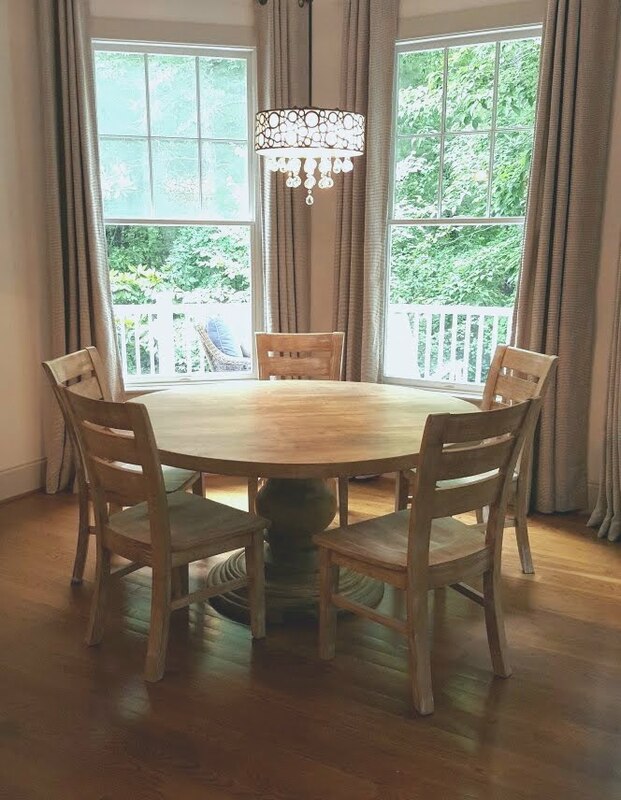 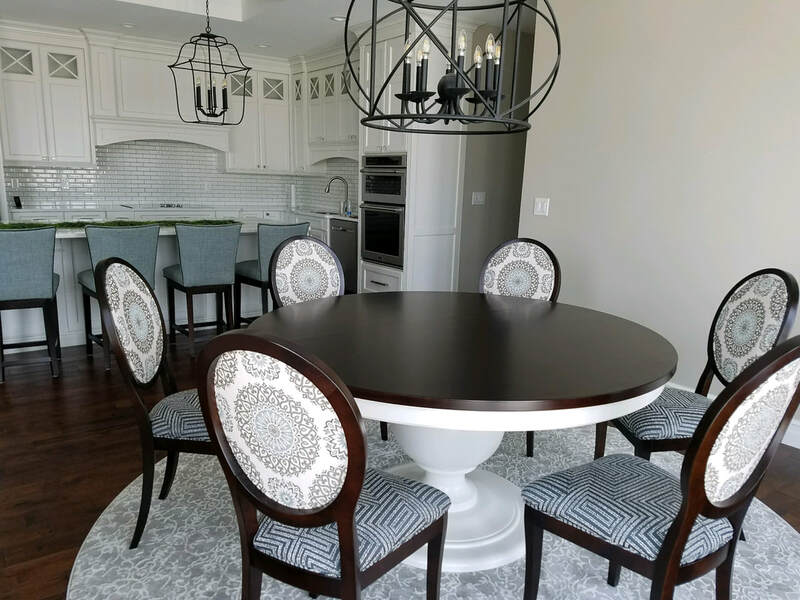 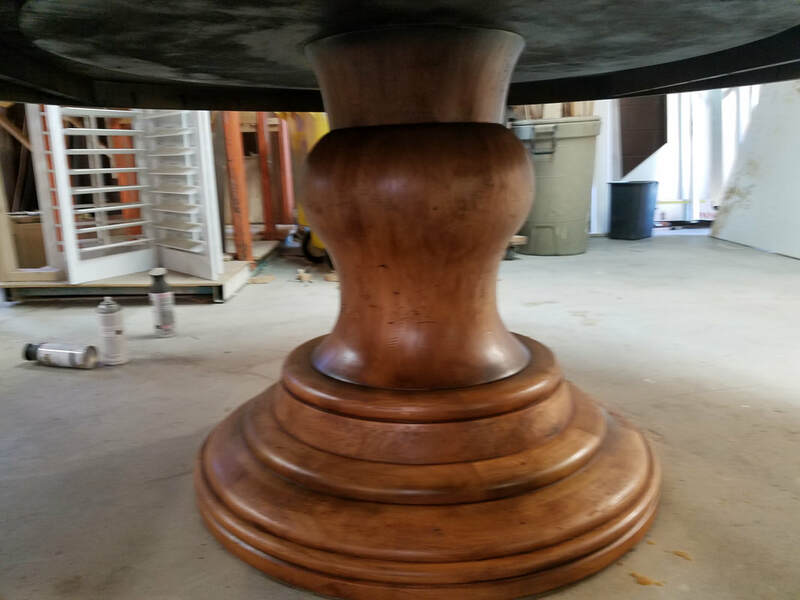 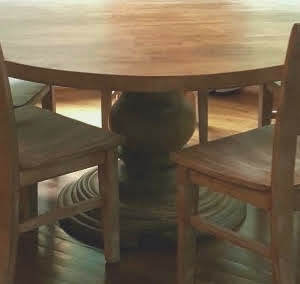 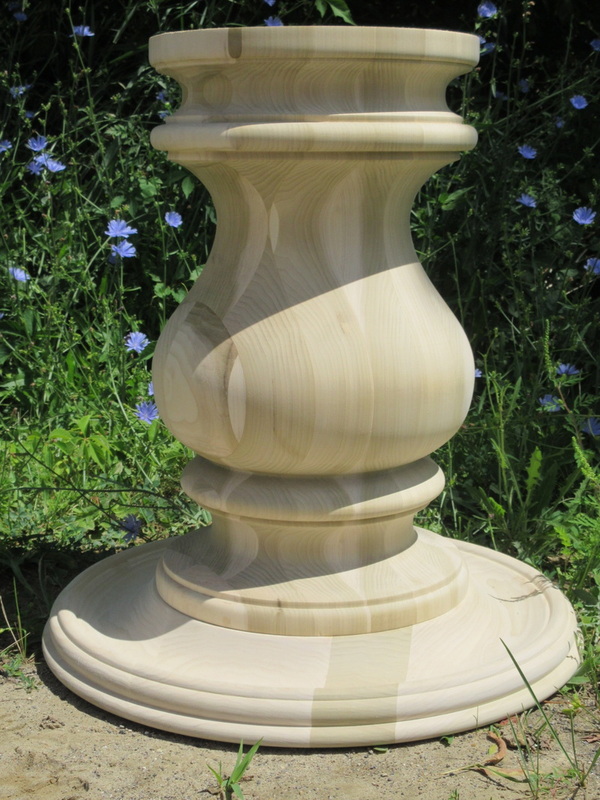 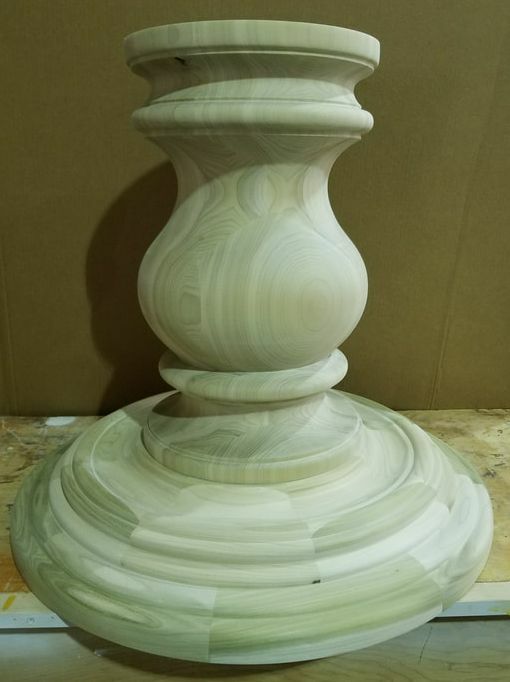 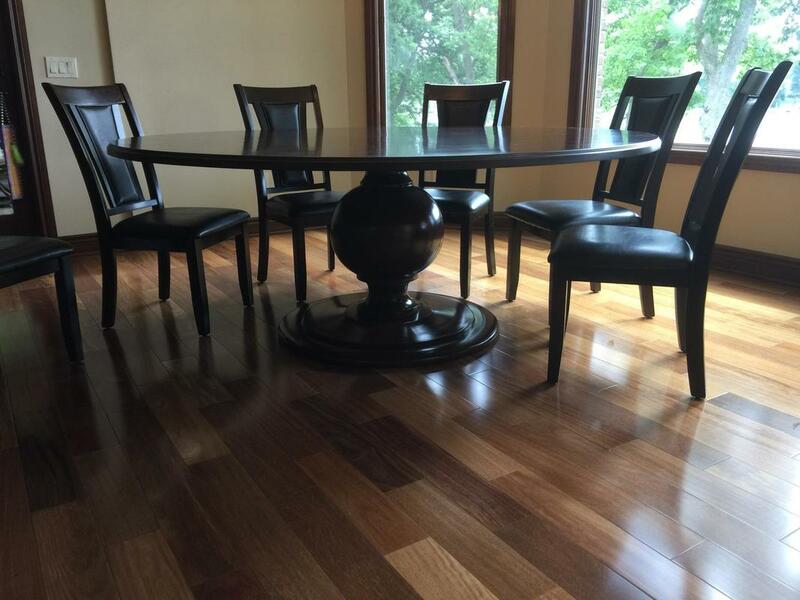 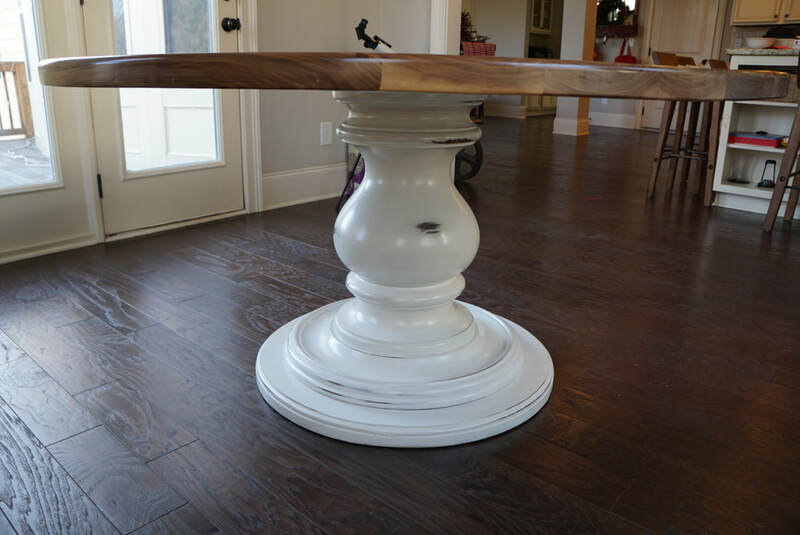 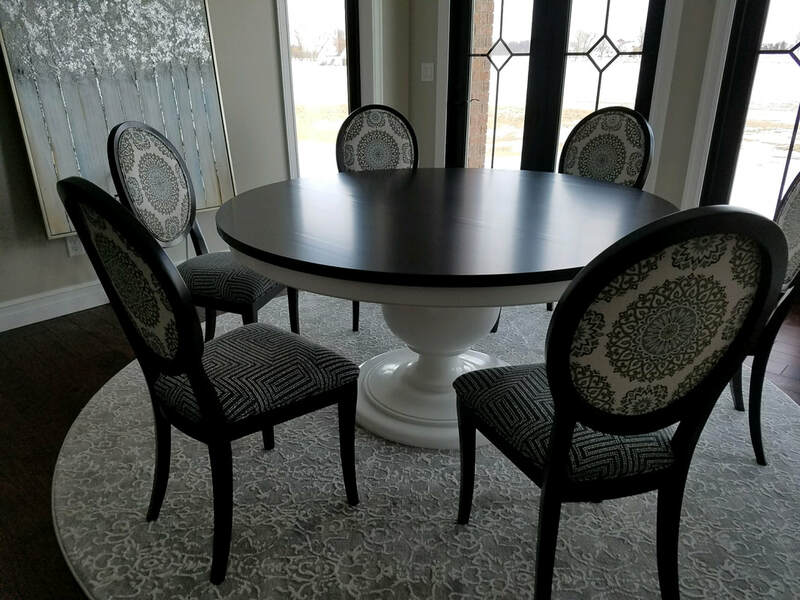 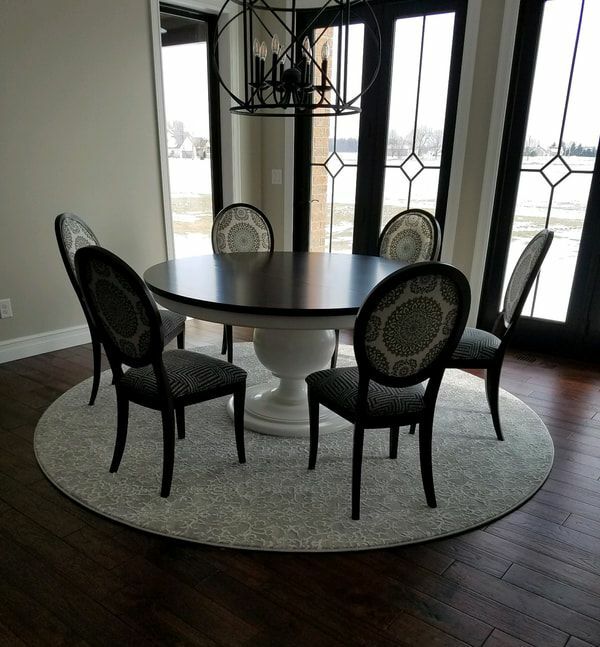 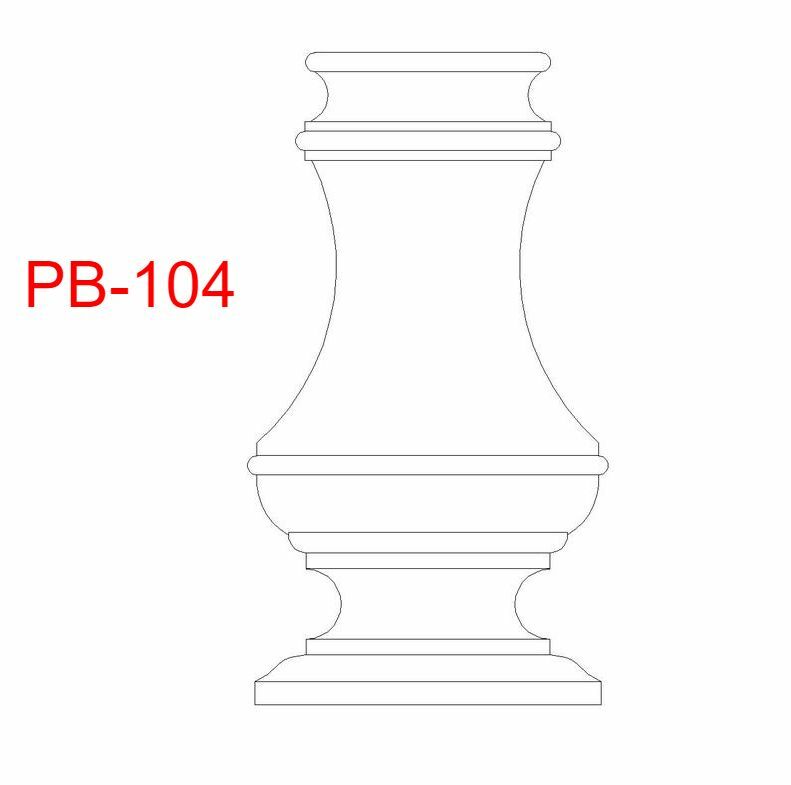 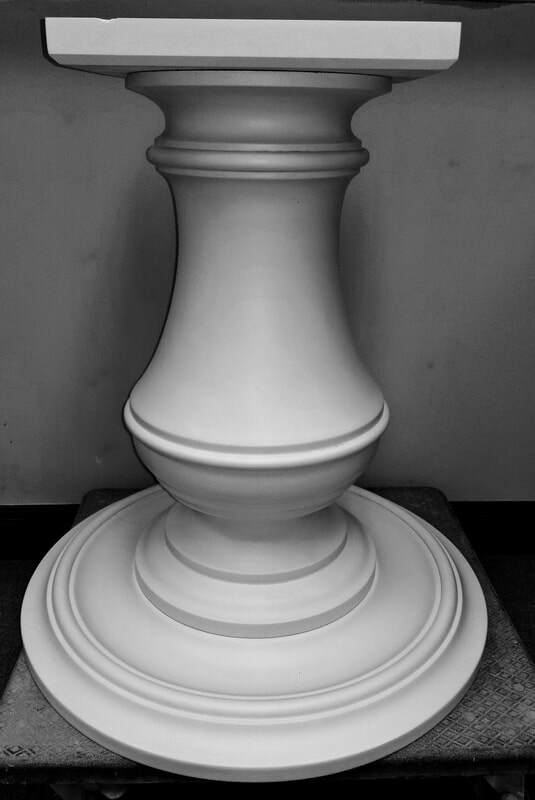 Large Table Pedestal Bases - CLASSIC WOODWORKS OF MICHIGAN, INC.
CLASSIC WOODWORKS OF MICHIGAN, INC. 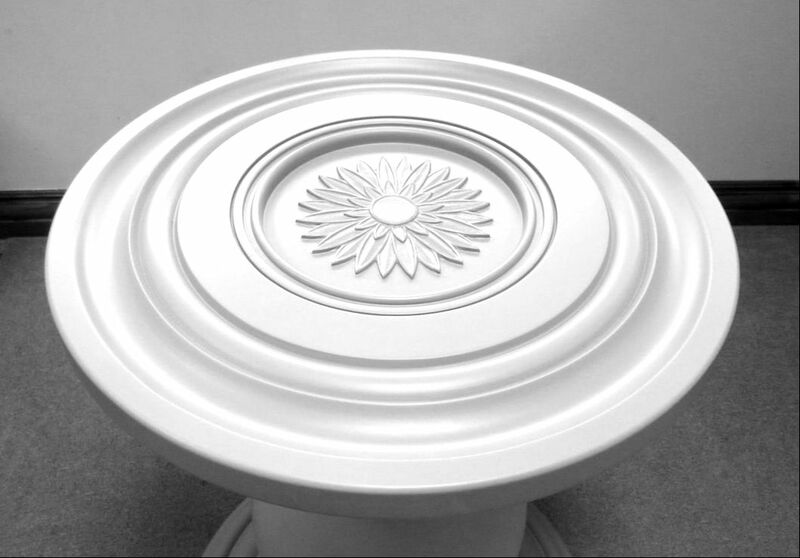 These are a few of the bases we have templates available for (Items are not stocked but made to order) We can also turn your custom design. 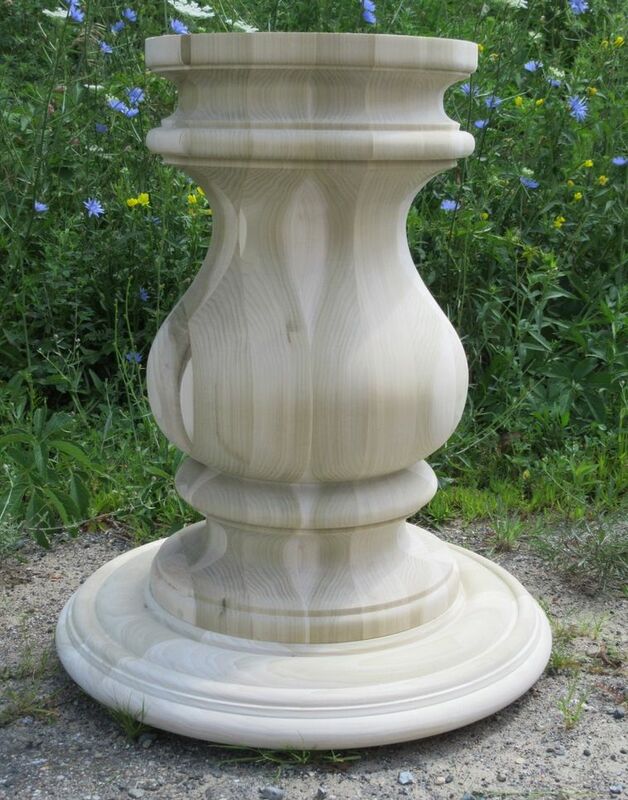 ​Provide a drawing or picture with dimensions and type of wood and we will quote it for you. 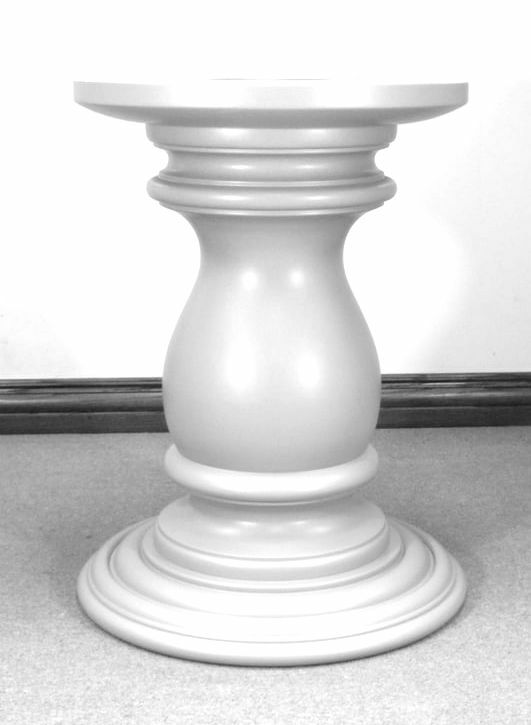 PB-KDLC Custom Turned Base with Medallion inset in the top to accommodate a glass top. 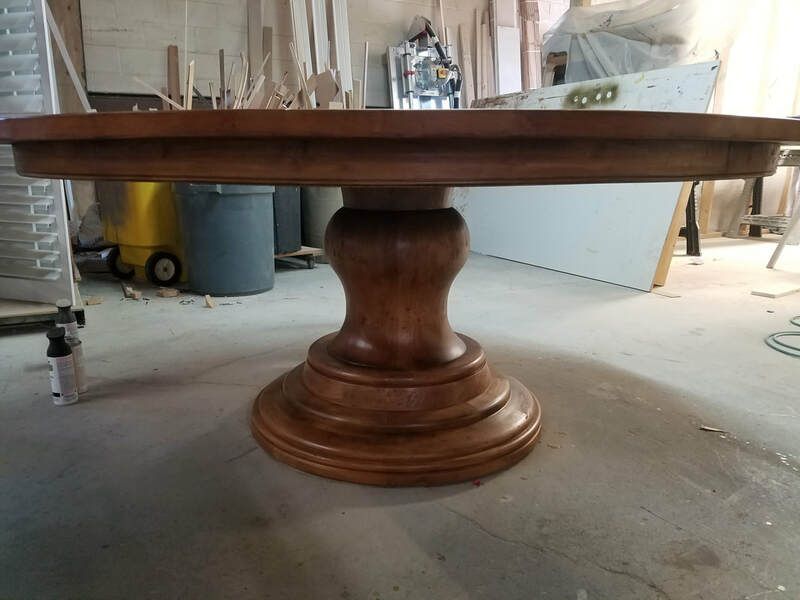 Custom Table Base turned for our customer Jacaranda Woodworking who created the table top and finished it for his customer.